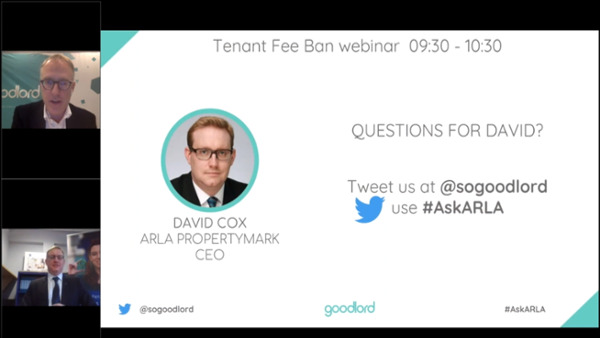 We were delighted to host the second in a series of webinars with ARLA CEO David Cox, focusing on the impact of the Tenant Fee Ban when it comes into law on 1 June 2019 and how letting agents need to prepare for this. 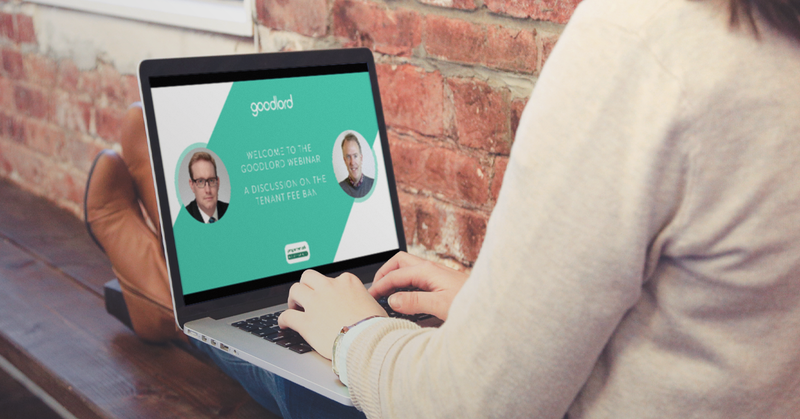 ARLA CEO David Cox joined Goodlord to answer the questions of letting agents from around the country, who are looking for more clarity about what the ban will entail and how it will impact the lettings industry overall. Cox provided answers as to what letting agents will and won't be able to charge for when the ban comes into force on 1st June. He also noted that the industry was already starting to see the impact of the ban, which comes into effect on 1st June and is expected to see agencies across England and Wales lose £200 million a year in turnover and more than 4000 jobs. If you want to chat with us about how the Goodlord platform may be able to help your agency get into the best shape for the arrival of the Tenant Fee Ban, then book some time into our expert Sofia's calendar here. The next webinar in the series will be taking place on 1 May 2019 - watch this space for further information.